North Idaho, a 5 star resort destination, includes some of the world's most beautiful towns, lakes, rivers and mountains. Vacation Rental Authority provides our vacation rental guests with free custom maps for your Coeur d'Alene adventures. Custom maps include hiking routes, bike trails, huckleberry picking areas, snowmobile/ATV trails, boating maps and more. Below you will find a large map of north Idaho with points of interest. Further down are generic maps of the following North Idaho towns and lakes: Coeur d'Alene, Lake Coeur d'Alene, Kellogg, Post Falls, Sandpoint and Lake Pend Orielle. 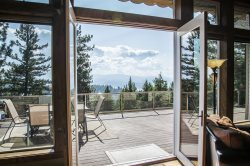 Vacation Rental Authority has all the inside information on Coeur d'Alene vacation ideas, vacation packages and what to do in Coeur d'Alene. Plan your visit early and enjoy our beautiful mountains, lakes and rivers. View Vacation Rental Authority in a larger map.